Industrial construction and assembly are impossible without cranes in our industry and yours. We can help you build, retrofit, repair or certify a crane for your facility, no matter the industry you’re in. If your company fabricates heavy or bulky products, you’re probably moving things around with a forklift, or a fleet of them, but you could free up space and move more efficiently with overhead cranes. With a properly designed overhead traveling bridge crane, you can move materials and products from any point of your shop, across the length and width of your facility and deposit it right where you need it, even onto a truck, for delivery. With an elevated set of tracks, supported by tall steel legs, the crane stretches from one side of the building to the other. Running back and forth across those tracks, the hook traveling forward and backward on the crane, and raising and lowering loads from the ground, overhead cranes can work on three axis. With the transportation of parts and products happening above the ground, your team has more workspace without needing cumbersome forklifts. Gantry Cranes are similar to overhead cranes in design and function but they are usually smaller and more mobile. If your facility is spread across a large property, with multiple buildings, or if you are in a temporary shop, a gantry crane might be the way to go. Gantry cranes consist of tracks elevated on top of tall, steel legs with a crane beam stretched between them, like a miniature version of a bridge crane. Their greatest functionality is their mobility. 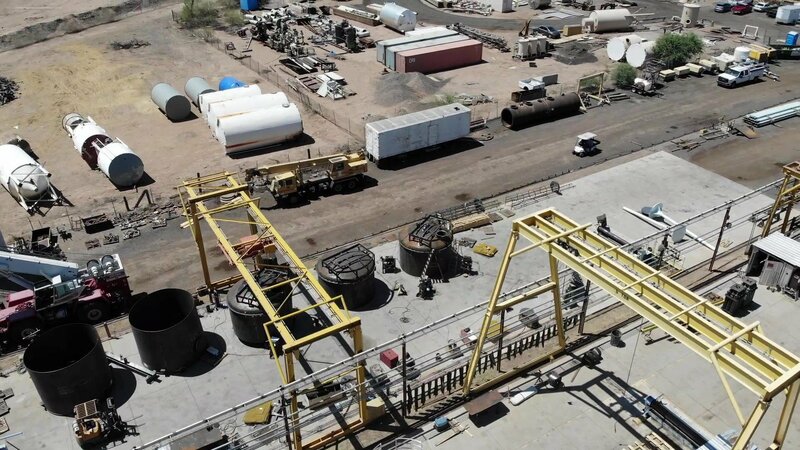 If you have several buildings requiring the use of the crane, we can install tracks running from building-to-building, on which the gantry can drive products back and forth. For less standardized mobility, they can be mounted on wheels and driven around. Beam trolleys are less dextrous and less complex than overhead and gantry cranes. A simple trolley threaded onto the underside of an “I-Beam” is a good, inexpensive way to lift and move objects lighter than 2 tons from one side of your shop to the other. Your beam trolley can be manual or motorized, but it only moves on two axes, forward and backward, up and down. If you need lateral movement, this is not the crane for you. The Crane Manufacturers Association of America (CMAA) requires annual classifications, based on the number of “starts/hour” and the average percentage of “Full Capacity” being lifted. 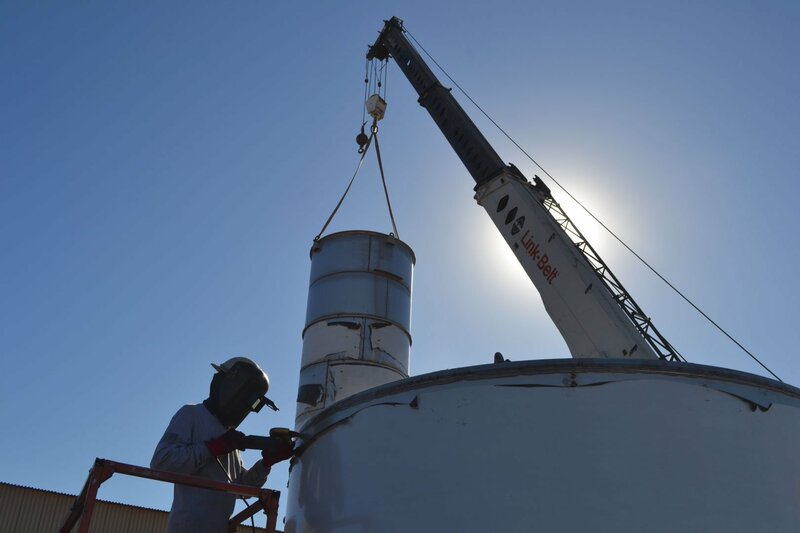 At MMI Tank and Industrial Services, we not only build cranes but we can also perform the annual CMAA crane classifications for your crane(s). Whether you have a crane in your facility or need one, we can help you build it, maintain it, retrofit it, relocate it and inspect it. Call MMI tank for all of your crane needs.